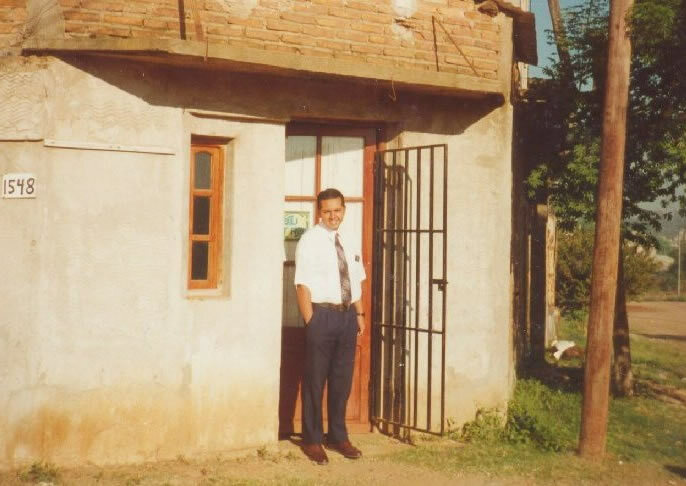 In April of 1997, I was serving in a city called Concordia, Argentina. This was a small city on the border of Uruguay, that I believe had three LDS Church branches. I was serving in the Universidad Branch. My companion there was Elder Sanchez, a native Argentine who spoke no English. This was in the second half of my mission, so my Spanish was pretty good by then, but it got even better speaking all Spanish, all the time with Elder Sanchez. One day, my companion and I were street contacting (one of my preferred ways to open your mouth), when we saw a young man standing at a street corner waiting for a bus. We approached the man, introduced ourselves, and struck up a good conversation about the restored gospel of Jesus Christ. Soon the bus came, so we asked the man if we could come by his house some time to finish the discussion. He quickly gave us his address, then he got on his bus. The next day, we went looking for the man’s address but we couldn’t find it. We found the street, but we couldn’t find the house number he had given us. At this point we noticed a man out working in his yard, so we went over and asked him about the address the man had given us the day before. The man out in his yard was named Jorge Lescano, and he confirmed that address we had was invalid. 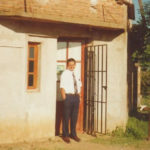 We told Jorge that we were missionaries for The Church of Jesus Christ of Latter-day Saints, and we asked if we could share a message with him. Jorge gave us a drink and we talked for a few minutes. It was a nice conversation, and we asked if we could come back to teach his whole family a discussion. Jorge invited us back, and a few days later we returned and met his wife, Beatriz, and their four kids. The Lescanos were very receptive to the gospel message. Within a week or two of meeting them, they came to Church where they enjoyed the speakers and getting to know the other members. When we taught the Lescanos the second discussion, we invited them to be baptized and they accepted. After we taught them the third discussion, my companion and I got word that I would be transferred to another city. When we told Jorge and Beatriz, that I would be leaving, Jorge was visibly emotional. It touched me that in those few weeks Jorge had forged a bond with my companion and I that brought him to tears at this moment. The Lescanos were a great family and I was sad that I wasn’t able to stay to witness their baptism. 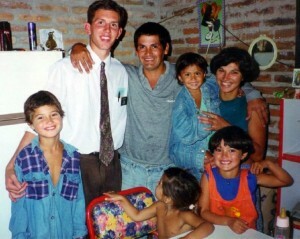 But I stayed in touch with Elder Sanchez, and a couple of weeks later, he sent me a photo of their baptism. The man we met at the bus stop meant to deceive us with a false address, but God meant it unto good. Because of that experience, we met Jorge and Beatriz Lescano, their family was brought into the fold of Jesus Christ, and we were all greatly blessed. God is really great, that guy who deceived you is an instrument that was used by God for you to find those who really need and willing to listen about the teachings.